Musicians who are waiting for the streaming service's free three-month trial to end before signing on won't be punished, Apple says. A firestorm erupted on Twitter this week after Anton Newcombe, front man for psychedelic rock band The Brian Jonestown Massacre, accused Apple of threatening him with an iTunes ban if his band didn’t agree to the terms of Apple Music. Apple says it will do no such thing. The biggest issue musicians have with Apple Music is the free three-month trial Apple is going to offer starting June 30. Apple won’t pay royalties to record labels for songs streamed during that period, which could have a significant impact on indie artists who rely on revenue from downloads. People who have free access to streaming music might not buy as many songs as they used to, and Apple won’t make up the difference with royalties. Newcombe opposes that move, and claimed that an Apple rep told him the band’s music would be removed from the iTunes Store if he didn’t get on board. 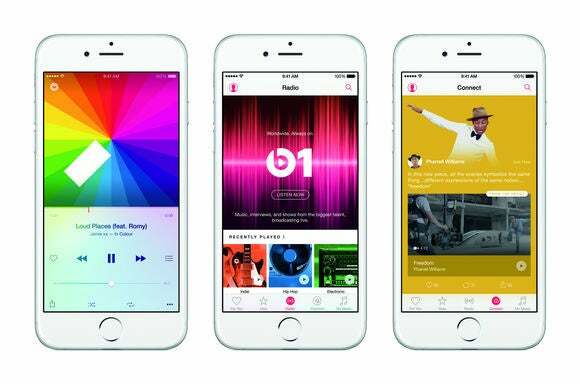 Apple told Rolling Stone that it definitely won’t be taking music off of iTunes. Why this matters: While Apple could use iTunes as a bargaining chip when it comes to getting labels and artists on board with its streaming service, the move wouldn’t exactly elicit goodwill from the music industry or fans. It would only make the company look like a bully. Apple won’t be making money from free Apple Music trials, either, but other streaming services that offer freemium trials (Spotify, Tidal, etc.) still pay royalties to labels for songs streamed during those trials. Of course, labels could always choose to hold out until the free trial ends for the first wave of adopters to sign on with the service, and now that Apple has confirmed there won’t be a punishment for that decision, expect some of your favorite indie artists to sit out this round.